Hey everyone! Hope you've all had a lovely week, I've been on the countdown to my holiday all week and it's finally here! I fly tonight and I can't wait to be sitting by the pool tomorrow not having to think about anything else. I feel like I haven't switched off in a while so I'm hoping I'll be able to unwind. I have of course prepared some posts for you whilst I'm away, I couldn't just leave you all hanging could I? You'll probably get more posts than usual actually because I've actually scheduled them. I feel like I should do this more often because often in the evenings I'm too tired after work to prepare a post and then I get really behind. Does anyone else schedule their posts a week ahead? Does it work? 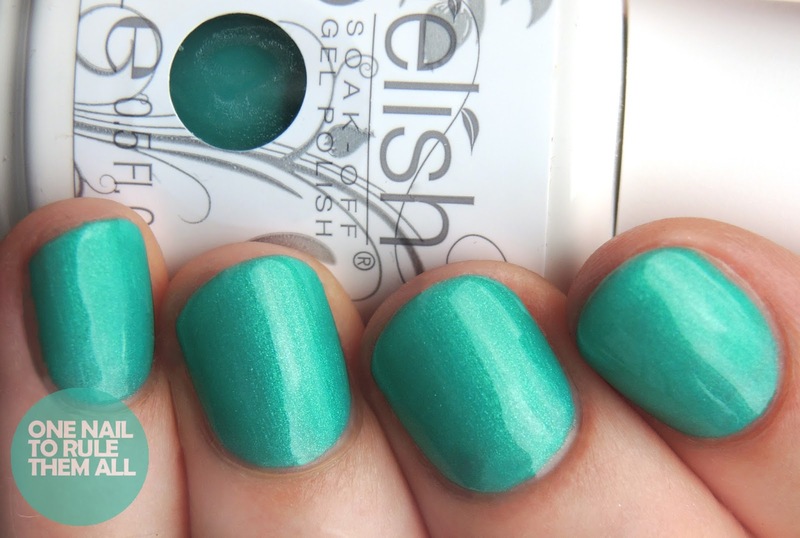 Today I've got a review of the stunning Gelish - Street Beat Collection* for you. There are actually six polishes in the collection, and I have 3 of them to show you today. In addition to the three I have, there's also a yellow (Street Credible), a neon pink (B-Girl Style) and a fuchsia (Tag, You're It). It's such a fun and bright collection, and it was a perfect release as their summer collection. I couldn't resist choosing one of them for my toes for my holiday (read after the jump to see what colour I chose), as I absolutely love these shades. I was interested to try the yellow too, as it's quite an unusual shade for Gelish, but having read reviews of how sheer it is I think I got a good selection with these three. Full review is after the jump. Hip Hot Coral* is an amazing bright neon coral with a gold shimmer. My camera overreacted at how neon it is, but in the close up below you can see the gorgeous gold shimmer. I absolutely love this shade and I couldn't resist painting it on my toes for my holiday. They are very bright but they'll look great by the pool and poking out of my sandals. This was 2 coats - very opaque. I did have to use 3 coats when I painted my big toe, but I think that's because a) I don't paint my toes very often so I'm out of practice and b) because it's a bigger surface area. Give Me A Break Dance* is a shimmery/pearl teal shade. I ended up loving this way more than I expected to and I added some nail art to it which I'll be posting once I get back home. This was 3 thin coats. And finally is Con-Tour The Streets*, which is described as a lilac creme by Gelish but I'd definitely call it pink! I was expecting this to be quite creamy, especially as some of the reviews I'd read online had hinted at such. Unfortunately it was quite watery and required a lot of mixing to get proper application. This was 4 coats shown with topcoat. I really really love this colour though, and with Gelish is doesn't really matter (aside from the time it takes) that you need 4 coats, because you of course cure each coat so there are no issues with it not drying etc. as you would have with regular polish. I love this collection, and the shades I received will definitely be ones I'll be going back to. I can't wait to create some nail art with Cou-Tour The Streets*, I just didn't have time to whilst I was doing my review. You can get the entire collection here on Nail Harmony UK. All these are gorgeous & I love that Coral. It looks amazing on you.